Here at SAM Learning we reward teachers who publish their own activities on Share. 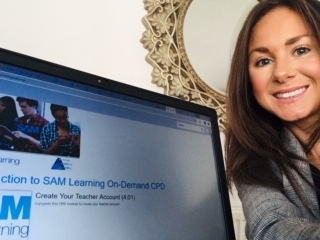 Share is available, free of charge, to all schools that subscribe to SAM Learning. It allows you to use activities that have been created by teachers in other schools and have passed a rigorous internal approval process. Likewise, it enables you to share activities that you have created with other teachers for the benefit of their learners. 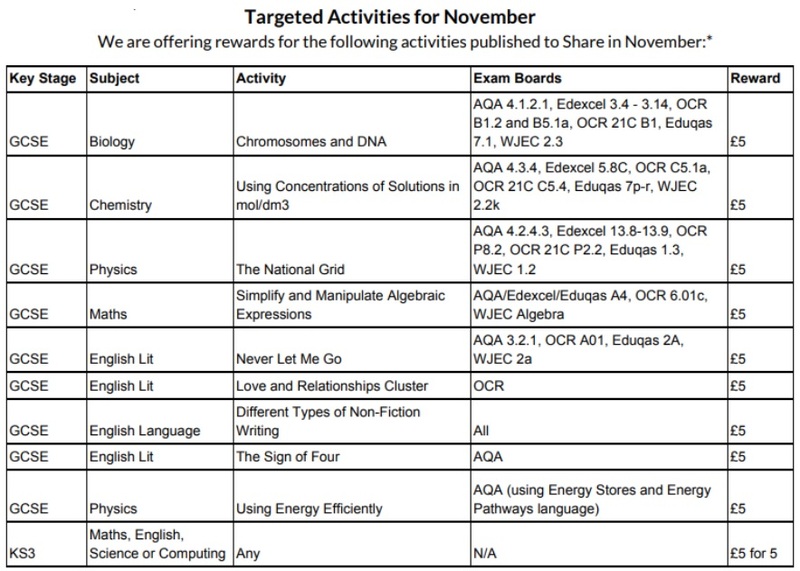 As well as having access to over 7,000 additional activities, teachers who publish their activities are also eligible for Share Rewards. With the festive period just around the corner, is there a better time to start to create and upload your very own activities and be rewarded for it? All teachers will receive a £20 Amazon voucher as a reward for publishing their first five activities in Share. These can either be activities created from scratch or existing activities that you personalise and enhance for your learners (see here for T&Cs). Further financial rewards are available for those who continue to create high-quality activities in topics that appear each month on our targeted list. This is our way of thanking teachers for their continued contributions to the SAM Learning community. Many SAM Learning activities can be copied and edited to create your own personalised version. Personalised activities that have a minimum of three new screens added are eligible for Share rewards. Simple select the ‘Copy/Edit’ button within the activity and adapt it for your learners. 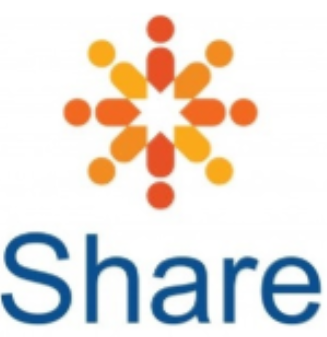 There are plenty of ways to get involved, earn rewards and help us to shape the future of Share. Our top Share teachers gain a wealth of opportunities, such as invitations to content feedback sessions/workshops, having their activities selected for Share+ or access to bonus rewards. What are the rewards for November 2018? Don’t forget, these fantastic rewards are updated each month. Simply visit the Share section of our Help Centre to find the most up-to-date list. If you are interested in finding out more about how to share your activities, please see our Help Centre article here.